Ok, this fierce pastel baby is complete! I've spent the whole month off and on painting her while battling a gross burnout but I'm finally satisfied (except for her chin that I JUST now noticed is slightly crooked but eh). 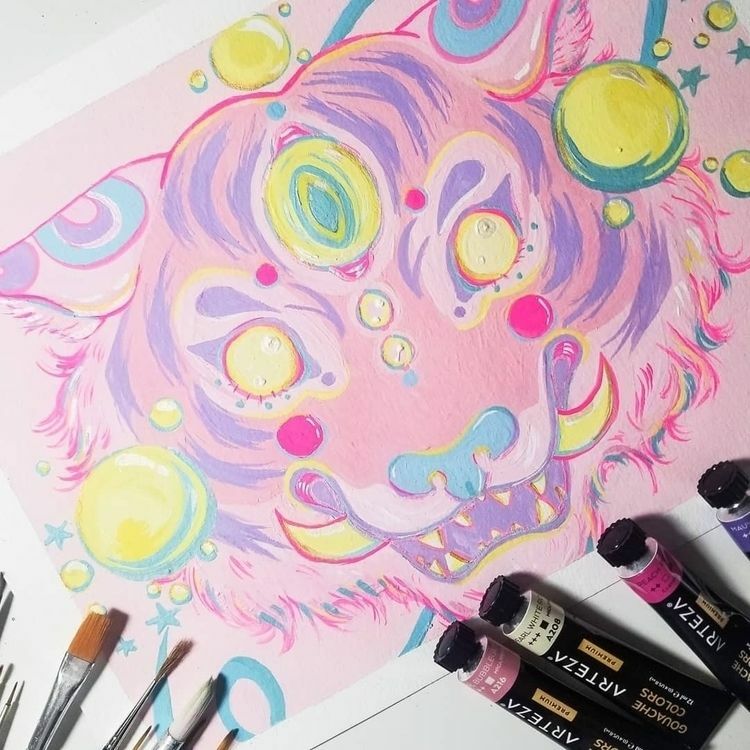 I got to play around with @artezaofficial 's metallic gouache which I used as accents for small areas of the tiger's face! Swipe to see the shimmer! What do you think of this galactic space beast? Should I paint more animals this year?